Worries over rise in eating disorders in the UAE Counsellors say it is vital for parents and teachers to look for tell-tale signs of eating disorder in children. Has your willpower ran out? Binge eating a struggle for a third of undergrads UAE study finds overeating followed by guilt and shame. The study of eating disorders continues and while there were multiple medical and psychological breakthroughs, little is known about it in Egypt. This leaves psychologists baffled, attempting to heal the issue with the use of medication which more often than not is a complete failure. It is like putting a Band-Aid on a bullet wound. It won’t work. Please find below (published in Egyptian Streets in 2016) an open letter from an Egyptian with an Eating Disorder. Eating Disorders are a real struggle in Egyptian society and more needs to be done to highlight this illness. This was written by prolific Egyptian Journalist Nina Awad. Please follow her here. Also please do read this. 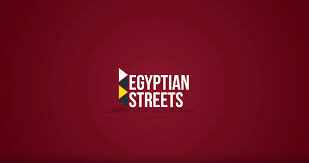 It sheds much needed light on challenges sufferers face in Egyptian society. The thing about eating disorders is that it’s an invisible illness and the physical ramifications of that illness only appear after a long period of time of abusing one’s own body. Just like any psychological or mental illness, we shy away from the discussion, leaving many women, men, and children, struggling in the dark, feeling helpless and hopeless. Whether it is anorexia, bulimia, over eating, or excessive exercising, it is all there and people are suffering from it. Yet, we turn a blind eye to it. Why? People find the topic of eating disorders difficult to discuss because it is uncomfortable for the person suffering from it and the person that is reaching out to help. Let’s consider this from both aspects. First, the person with the eating disorder feels ashamed of having an eating disorder and is constantly saying mean and hateful things about themselves to themselves. This only makes the eating disorder worsen and as time goes by, self-esteem is demolished and the person believes that they are unworthy of help. Therefore, when someone reaches out, they feel confused, conflicted and undeserving of treatment. Secondly, the family member or friend that is reaching out to help someone with an eating disorder goes through a series of feelings that often leave them in anguish. It is not easy to see someone you love self-destruct and you end up feeling helpless. Because of the fact that eating disorders are widely misunderstood in the region, especially in Egypt, people reach out to people with eating disorders in ways that only worsen the eating disorder. For example, parents hide food so it doesn’t go to waste or friends telling someone to “snap out of it” because it’s no big deal. Those manners and ways of reaching out worsen eating disorders. You can’t force someone to eat. You can’t force someone to not binge and purge. You can’t force someone to stop over eating and you cannot stop someone from having an eating disorder if you don’t understand the heart of the issue. Instead, understand that recovering from such illness is a long and hard process. Accept that there will be setbacks. Learn to love unconditionally and show sufferers that you have an unshaken belief that they have the strength and the will to recover. While it is a difficult topic to approach and an uncomfortable discussion to have, it is essential that we understand eating disorders, the causes and how to effectively recover from such a menacing and deceiving disease. As for the thousands of people suffering from this life-threating illness, they are left helpless and hopeless in an everlasting cycle of self-hatred and blame for having an eating disorder and depression. They feel shame for not being able to recover, and hopelessness for not knowing how and where to go for help. That said, there are a handful of qualified doctors who are often overpriced and very inaccessible. For instance, EGP 500 for a 50-minute session to undergo cognitive behavioral therapy is unacceptable. I know that because that is how much my therapist costs per session. Which begs the question: What about the middle and lower class individuals that are suffering from devastating eating disorders but have no access for treatment – a basic human right that should not only be limited to the privileged? 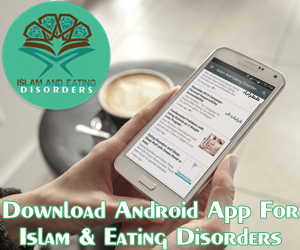 Eating disorders are common and spreading in Egypt. In fact, chances are you know someone that is secretly suffering from an eating disorder. It is spreading to the point where nine-year-olds are refusing to eating because they don’t want to get “fat.” Like “fat” is the worst thing you can be. Why are we so focused on our looks and how others look? Why do we define ourselves and others with the skin color and mere numbers on a scale? Why do we attack one another using derogatory, and quite pathetic, insults such as “fat” or “chicken bones?” Have we forgotten that people are more than their bodies? Open up the discussion and start addressing it. Do the research and look for the symptoms of all the eating disorders out there because those suffering are often trying to call out for help and are never heard. Be their voice and their outlet and provide them with the comfort of knowing that they’re not alone in their struggle, that they have the opportunity to recover. I was lucky enough to find support through friends and family members. I was lucky enough that someone confronted me and made me see what I was doing to my body and my mental health. I was lucky enough to learn that my life is more than my look, my body image, or what is considered beautiful. My desire to live to is larger than my desire to be accepted. Two people saved my life, the person that made me see what I refused to see in the past – someone I am eternally grateful for and blessed to have in my life – and myself, because I took a step forward and decided to seek the help I need. It’s not easy to be putting on weight for someone who was obsessed with keeping weight off, but my health and mental stability is more important than a thigh gap and a flat stomach. January 31, 2018 0 Worries over rise in eating disorders in the UAE Counsellors say it is vital for parents and teachers to look for tell-tale signs of eating disorder in children. January 28, 2018 0 Has your willpower ran out?